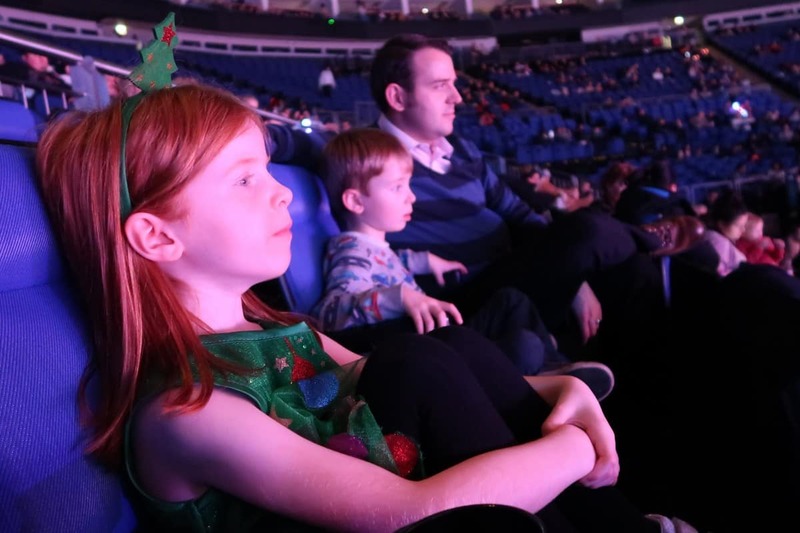 We started our Christmas holidays with a trip to London to see Disney on Ice Passport to Adventure at the O2. It was a surprise for the children and when we arrived they were just so excited. 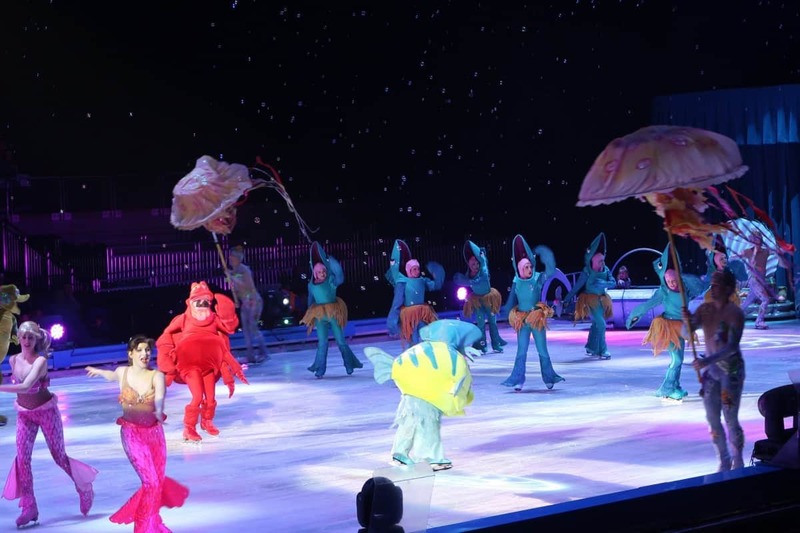 We saw Disney on Ice last Christmas too and it’s always such a highlight of our Christmas. 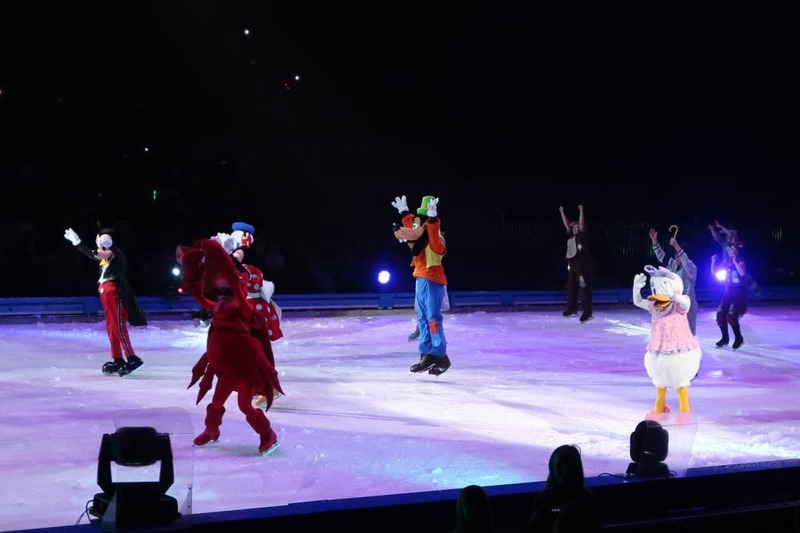 The show started with a quick warm up skate with the characters from Zootropolis before Mickey, Minnie, Donald, Daisy and Goofy took to the stage. They were dressed as explorers, ready to travel the world and the children were in awe from the very beginning. 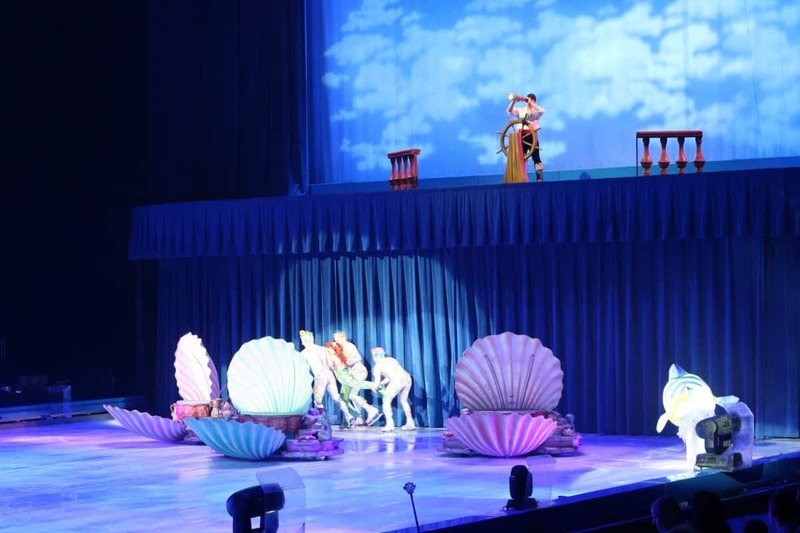 The show took us on a journey around the world – to London, through the ocean, to Africa and finished in frosty winter lands. 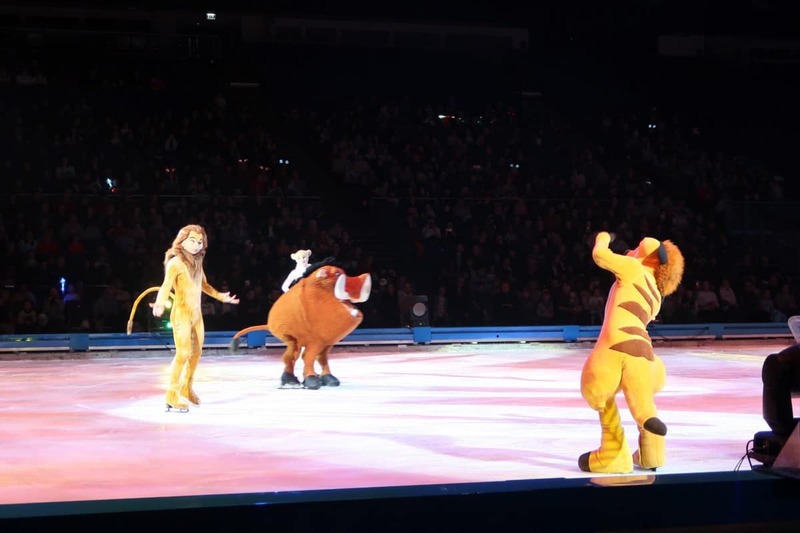 It was a completely immersive experience with the Disney gang coming out in between each act for a skate, a chat and to introduce the next section of the show. We started off in Africa with the characters from the Lion King, seeing Simba grow up from a cub to a fully grown lion and seeing his relationship with Nala blossom. We saw Timon, Pumbaa and Rafiki and heard some incredible songs like hakuna matata and circle of life. 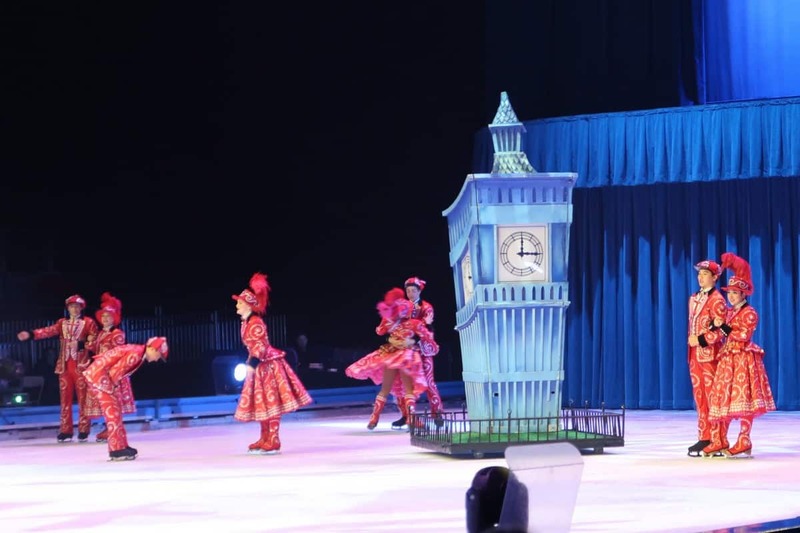 The Lion King is such an iconic show and it translated perfectly to the ice – and was a fantastic start to the show before we were transported to London, with Big Ben and a policeman. It made me even prouder to live so close to this incredible city. 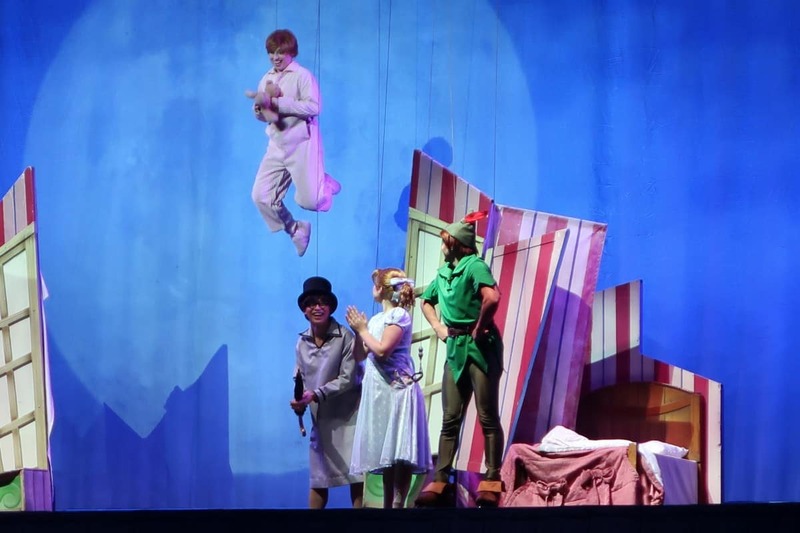 Once in London we stopped off at the Darling house where Wendy, John and Michael were just off to bed – before Peter Pan and Tinkerbell took to the ice. 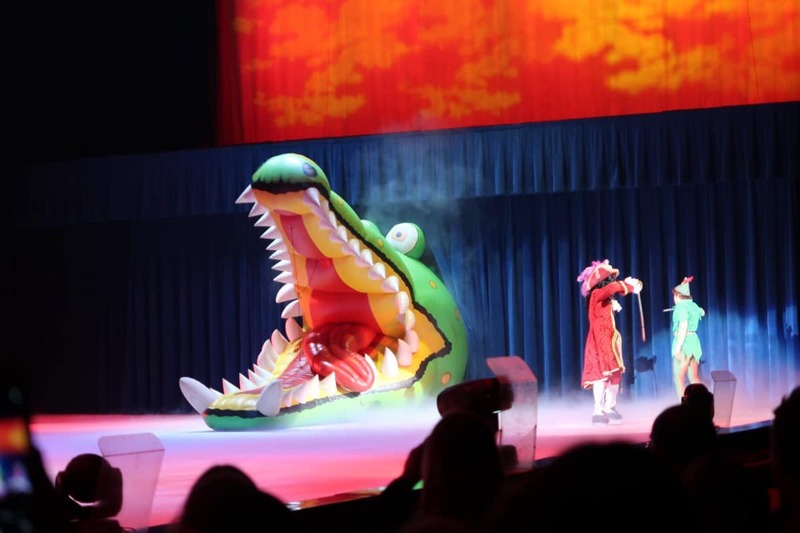 This act went through the whole Peter pan story, with flying above the ice, Lost Boys, Captain Hook, Smee and even a giant crocodile! 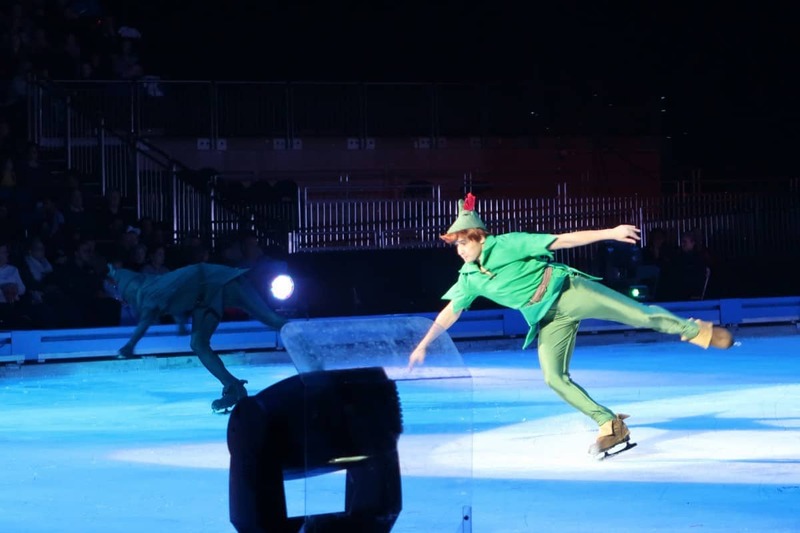 Peter Pan is one of the children’s favourite shows and they loved it being on ice especially as they got to see Tinkerbell flying through the air, Captain Hook getting his comeuppance and, in the end, everyone getting home safely. We then had an interval and we took this opportunity to switch seats. We were in row A to start with, right at the front, but there was a metal fence in front of us which obstructed the view. The seats higher up gave a lot better view of the whole of the ice. 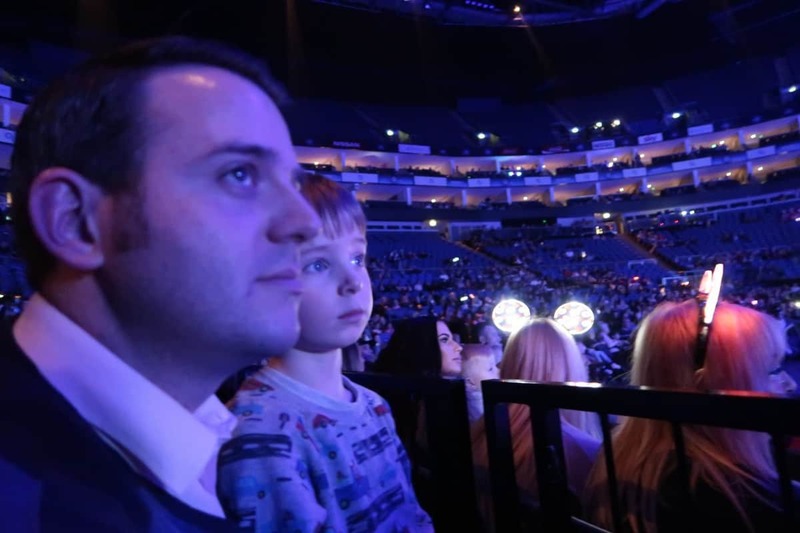 But, we could only move as half of the O2 was empty. 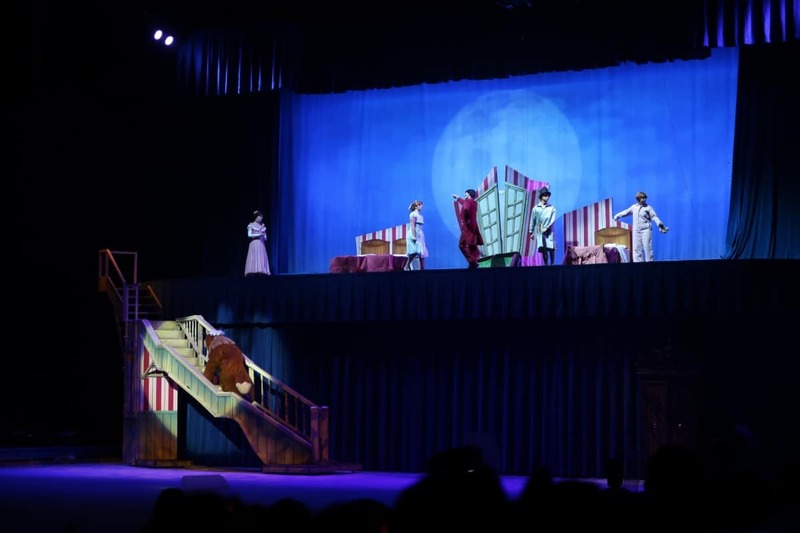 Sadly, this did make the show lack atmosphere at times compared to the previous times we’ve seen the show but we still really enjoyed it. 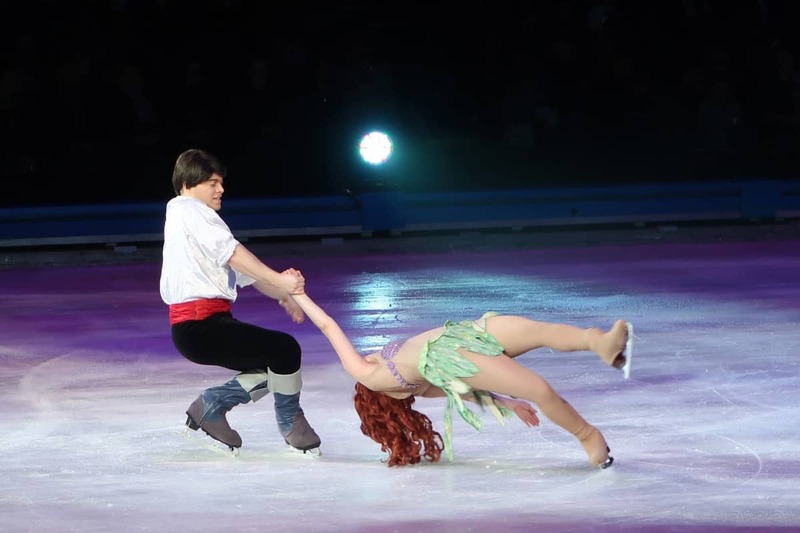 The second half kicked off with Sebastian coming onto the ice, introducing Flounder and the mermaids and then the whole of the Little Mermaid being acted out in front of us on the ice. 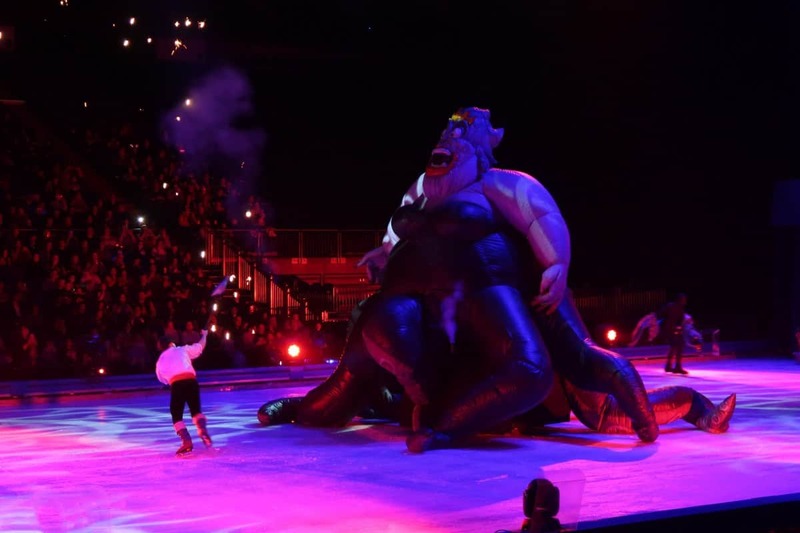 The Little Mermaid was a fantastic story on ice – with Prince Eric saving the day and Ursula showing her true colours in a fantastic climax of the story. 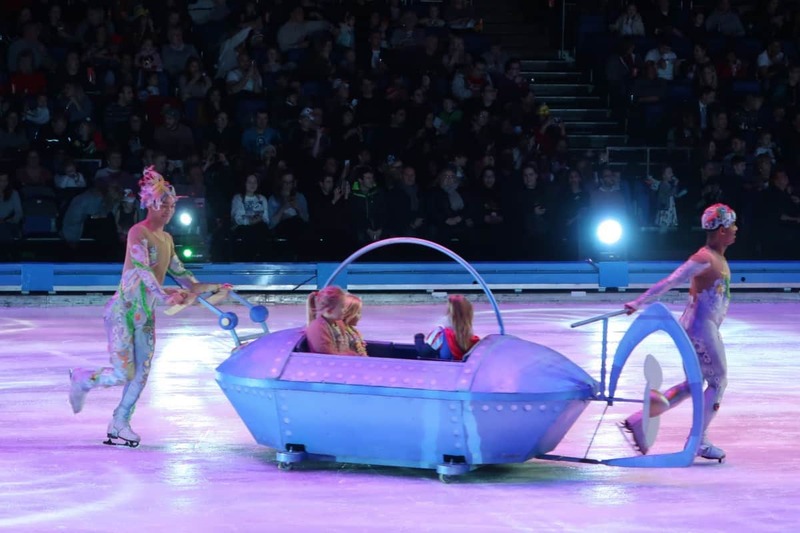 This part also had a boat that went round the ice with children from the audience in it – something I’m sure they will always remember! 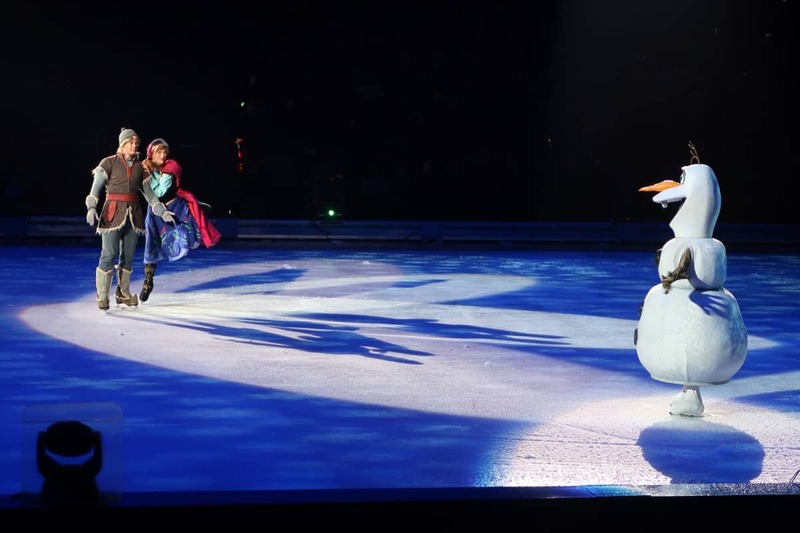 The show finished with Frozen and Elsa, Anna, Olaf, Kristoff and Hans all acting out their parts so well. Snow fell from the roof of the arena and the songs filled the air. 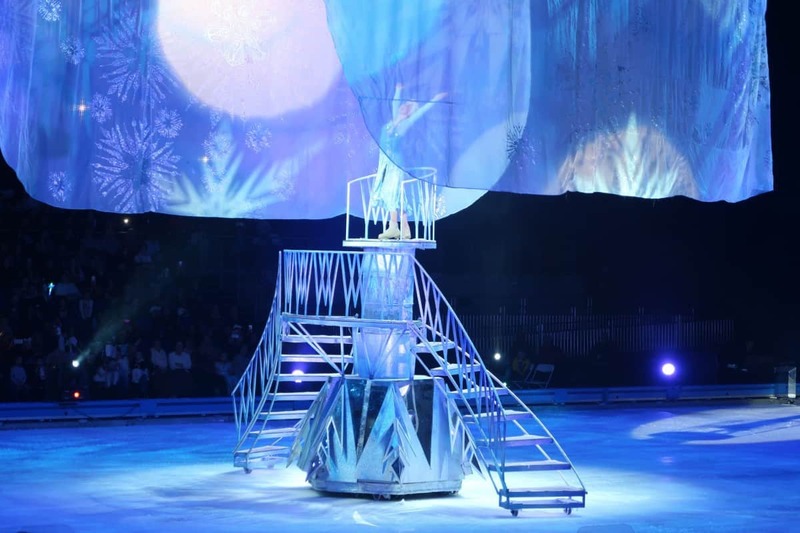 Let it Go is always a highlight of the show and it didn’t disappoint. 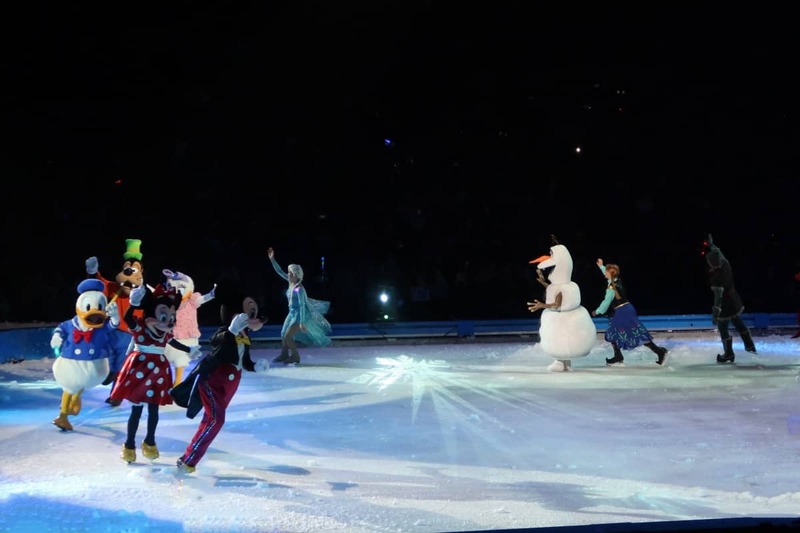 At the end all of the characters came out to skate, wave and finish Disney on Ice Passport to Adventure in style. The children had a fantastic time and were singing songs all the way back to the car. 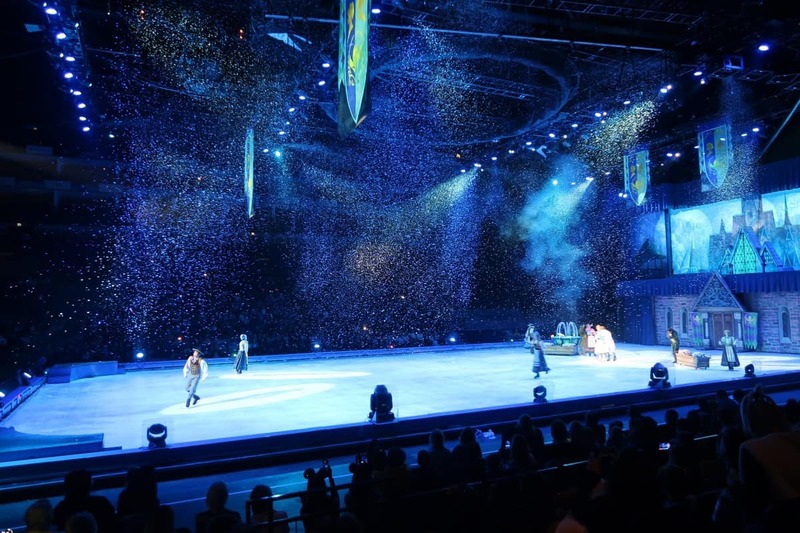 Disney On Ice is an incredible show with such amazing skating – with lifts and twirls and the sort of moves you could only dream of. The songs are such classics and the stories are all so familiar. 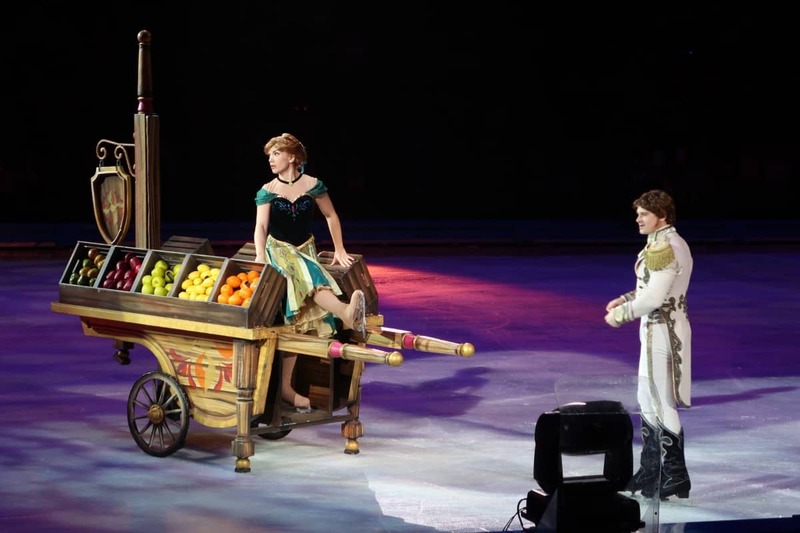 But, it would be nice if Disney on Ice was varied more in the future. 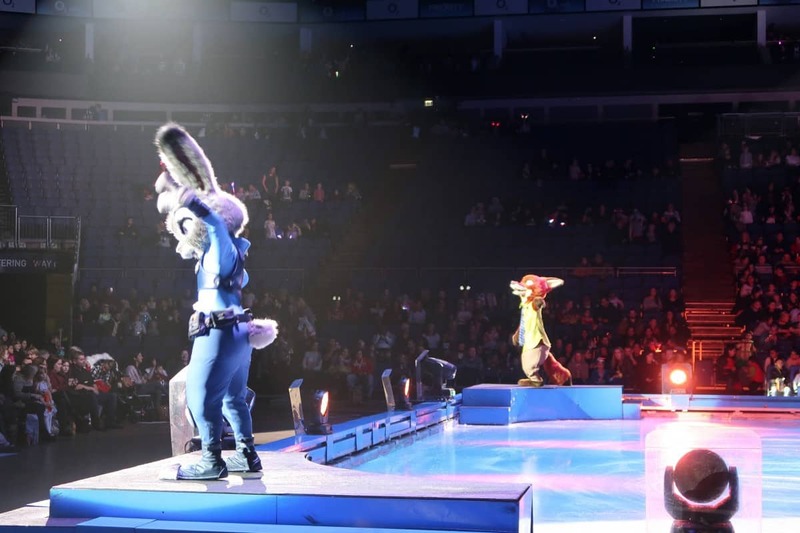 The same couple of shows have been on for the last few years – one with Little Mermaid, Lion King, Peter Pan and Frozen and another with Cars and Toy Story. It would be good to keep the show fresher by doing a new story each time after all, there are so many Disney classics to choose from. 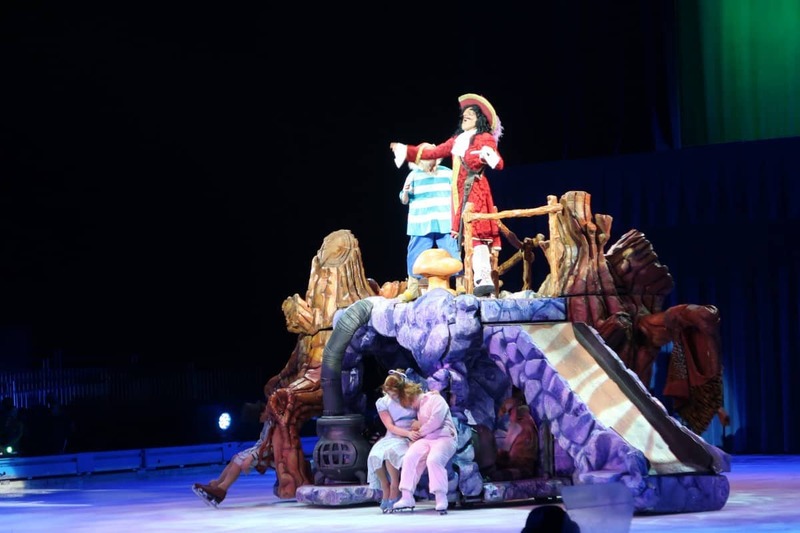 But, Disney On Ice is a great show that any family would love to see and we had such a great time. It would be the perfect Christmas outing – or a special treat for the start of the year. 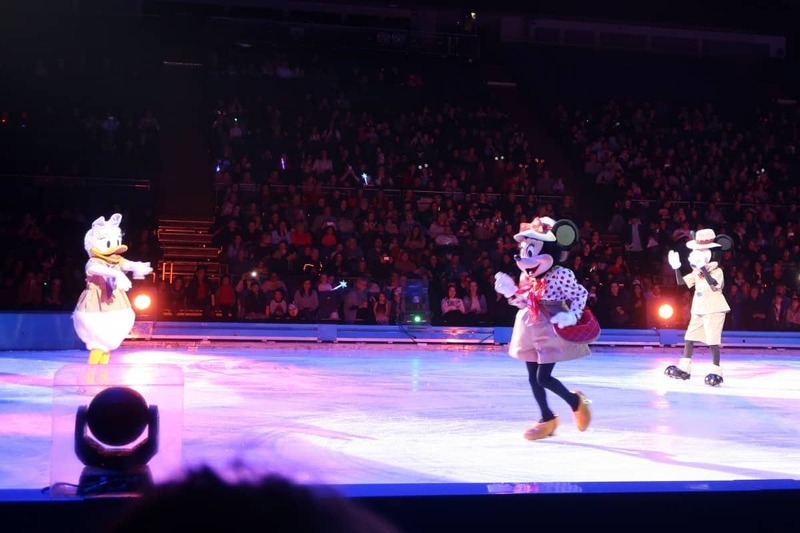 You can find all the tour dates and more information over on the Disney on Ice website.